The original “Softail” design was born – and shelved – in the mid-’70s. It wasn’t until 1986 that the factory combined its brand-new Evolution engine with the Softail frame for the original FLST. This base model borrows from the look of the ’49 through ’57 FL “Hydra-Glides” that came with a rigid frame and hydraulic front forks. 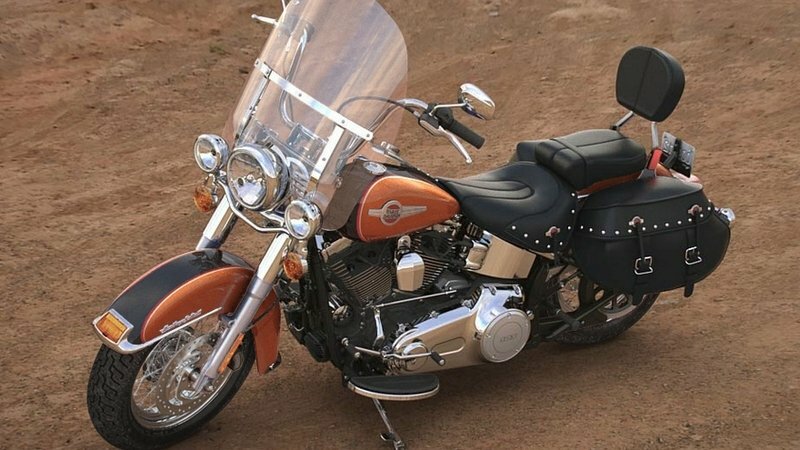 The FLSTC “Heritage Softail Classic” that came out in 1988 did more than borrow suggestions from a certain era; it dove headlong into the custom world of yesteryear. 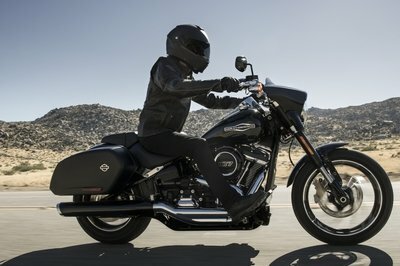 Harley keeps the line alive with its new, 2017 FLSTC that comes with all the familiar touches from the past. 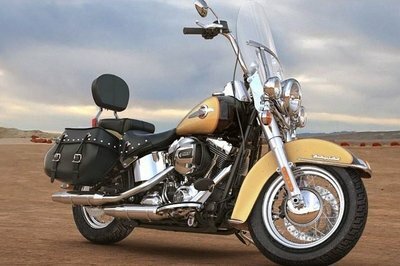 Continue reading for my review of the Harley-Davidson Heritage Softail Classic. Overall design features take us back to the pre-“Duo-Glide” days with the triangular, rigid-looking swingarm, hidden shocks and fat fork sliders with chrome tube shrouds. The lines flow from the full front fender, across the classically styled (and 3-D badged) fuel tank with chrome instrument panel, across the deeply scooped saddle down to the rear fender and studded, internally buttressed saddlebags. A windshield and pimp lights (er, passing lamps) complete the look, and the laced wheels with gangster white-wall tires round out the remaining details. The 45-degree, chrome-on-black engine sits like a gemstone in a setting, and removes any doubt that this is an American-made machine. 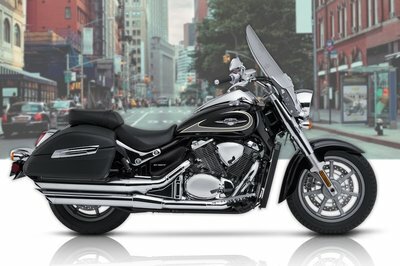 While technically a cruiser, the big bags, upright riding position and big windshield provide enough cargo capacity, comfort and protection for the “Heritage” to pull double-duty as a tour-bike “light.” With Harley’s Detachable windshield and pillion-pad with backrest, you can quickly strike or install sans tools to shift between the tour and cruiser configurations. 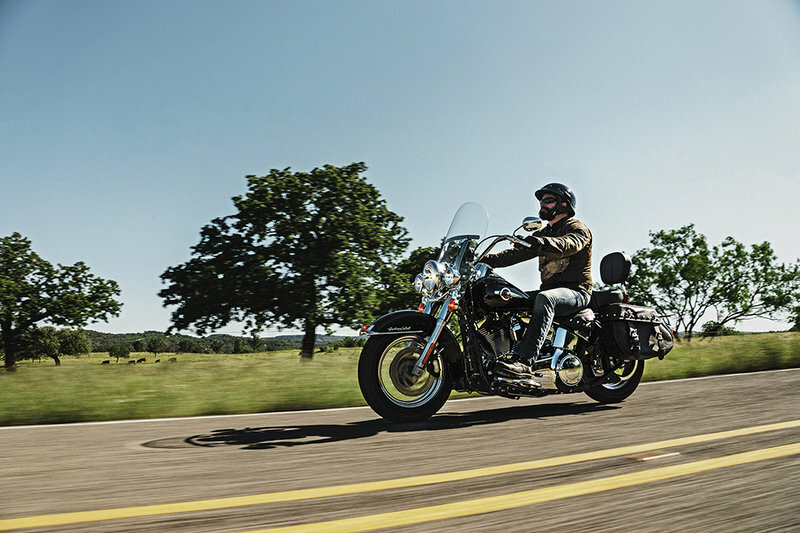 The only downside is the rear suspension travel; Softail rear shocks run with approximately 4 inches of travel (less with lowered shock), and you may feel it in your behind after a long or rough road. Frame construction is typical for Harley; heavy tubular-steel members form a dual-cradle, twin-downtube frame that tapers off to nothing along the distinctive Softail swingarm. The large-diameter front forks are non-adjustable, and though you can adjust the rear shocks for preload, someone is going to have to get down on the ground to get to them – sort of the polar opposite of the remote-mount, push-button or even automatic adjustments available on so many machines. Also typical for Softails is the low saddle height. At 27-inches unladen, and 25.5-inches laden, the seat is low enough for all but the shortest rider to be able to flatfoot. Regardless of stature, the deeply scooped seat places the rider in the bike, rather than perched on top. This lowers the center of gravity, making the “Heritage” easy to stand up and control at parking-lot speeds. Much like the chassis, the engine has historical roots as well. The air-cooled, High-Output Twin-Cam 103B engine builds on the success of the Twin-Cam 88 and 96 (and on back, if you care to compare) to give the U.S. market more of what we want; more inches, more power, but keep it in the traditional 45-degree V-Twin configuration. Time will tell when we see the new Milwaukee-Eight in place of the HO Twin-Cam to bring a new generation to this classic ride. Electronic fuel injection manages the induction, and helps the under-square engine produce 97.4 pound-feet of torque at 42 mpg (average). The torque comes on early too, maxing out at a low 3,000 rpm, so there is no need to wind the mill up trying to wring the power out of it. 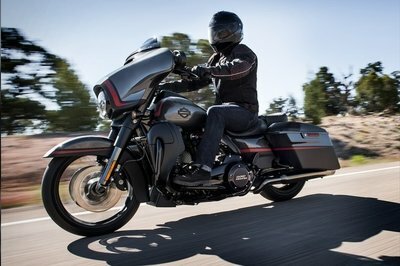 This engine boasts a strong 60 to 80 fifth-gear roll on, surpassed only by models with the Twin-Cam 110 mill, and, of course, the Milwaukee-Eight. The six-speed, constant-mesh transmission comes geared to provide low cruising rpm with a top overall drive ratio of 2.79 to 1. 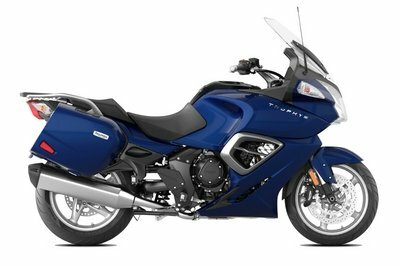 As usual, the bottom-line price of $17,349 is on the Vivid Black model only for 2016. Add $200 to that for 2017. If you want to avail yourself of Harley’s paint service, you can get the color option, two-tone option or custom color option for $17,949, $18,299 or $18,499, respectively — all $200 more than the 2016 MSRP. For that extra $200, the battery tender harness comes standard in 2017, saving you a trip to the accessories catalog. The security option goes for $395, and the California emissions package will pad the sticker by another two bills. 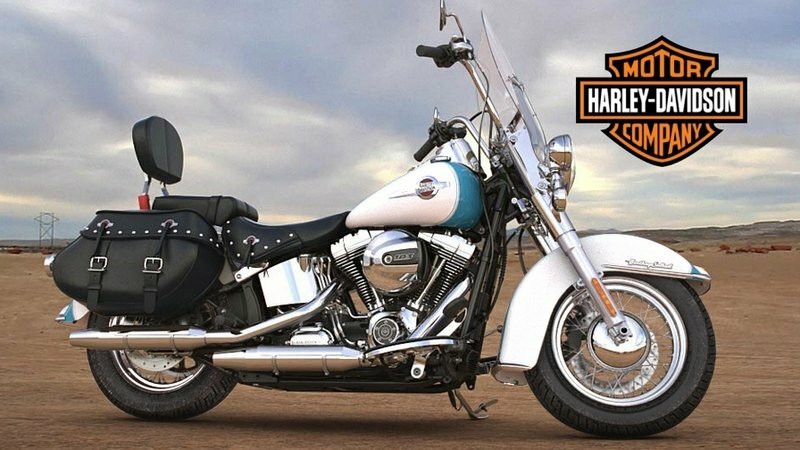 There are a few similar models out there (read: knockoffs) but the bottom line is this: Harley produced the first Softail as we know it, so any similarly designed bikes out there are mere copies trying to capitalize on Harley’s success. That said, I steered away from the Charlie-Davidsons and went with a model from H-D’s historical domestic foe; the “Chief Vintage” from Indian Motorcycles. 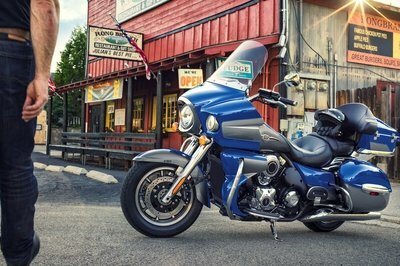 Far from a “Heritage” clone, the “Chief Vintage” reaches deep into its own history for the overall style – and wound up at nearly the same place in history as did H-D with the FLSTC! Low seat, skirted fenders and saddlebag design takes us back to the ’50s, and the windshield and pimp lights connect to the custom culture prevalent in same. 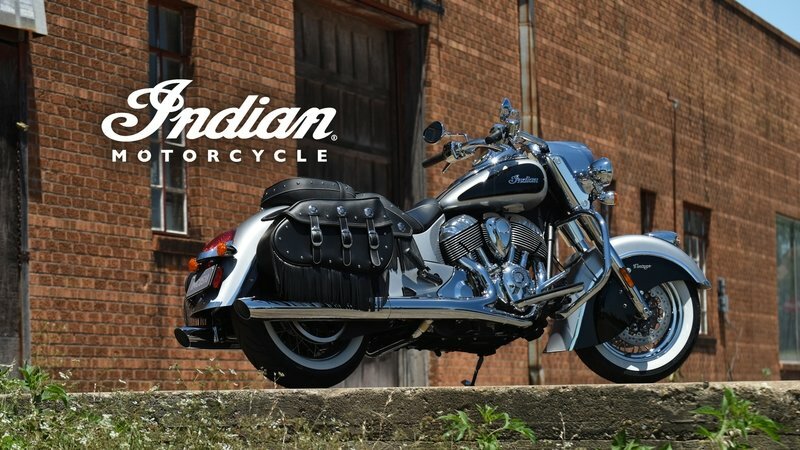 The 1,811 cc “Thunder Stroke” 111 from Indian is a bit bigger than the Twin-Cam 103 at 1,687.8 cc, and it cranks out a whopping 119.2 pound-feet of torque at three grand, enough more than the Twin-Cam that you can feel it in your heinie-dyno. Indian went a step further with engine design; it designed the rocker boxes to emulate the cooling fins on the old flathead engine, and kept the pushrod tubes separate and parallel with each other, another flattie feature. Usually I consider such efforts to be a waste of time, but Indian did a good job of capturing the look of the old engines without going too far with it. Even though H-D doesn’t take it this far, it doesn’t have to – the Twin-Cam falls within “the norm” for the factory, and so the engine has a nostalgia all its own. 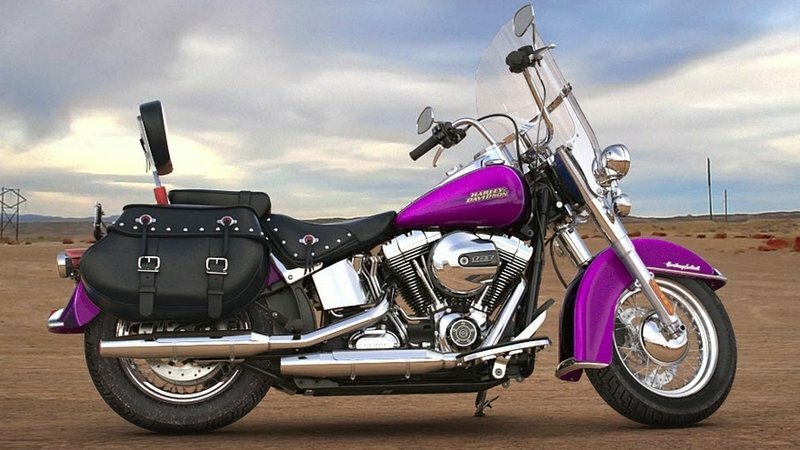 My wife and fellow writer, Allyn Hinton, says, "The classic Softail two-seat is comfortable, no matter which cushion you’re sitting on. The pillion is bigger and the padded backrest makes it a comfortable ride for the passenger. I like the functionality of the leather-bound hardbags, but sometimes I do wish they’d sag just a little. Leather that stands proud by itself kinda looks fake, ya know?"